As a free spirited gal, I love a good container and some accountability to keep me focused on my intentions and goals. To kick off the new season with a spirited burst of creative commitment, I invite you to join me for the Creative Revolution Challenge. Inspired by the Creative Revolution E-Course and my ongoing quest to weave more creativity into everyday life, I’ve put together thirty fun prompts for you to explore during the month of September. My challenge for you is to complete every single prompt sometime during the month of September. I know you can do this! 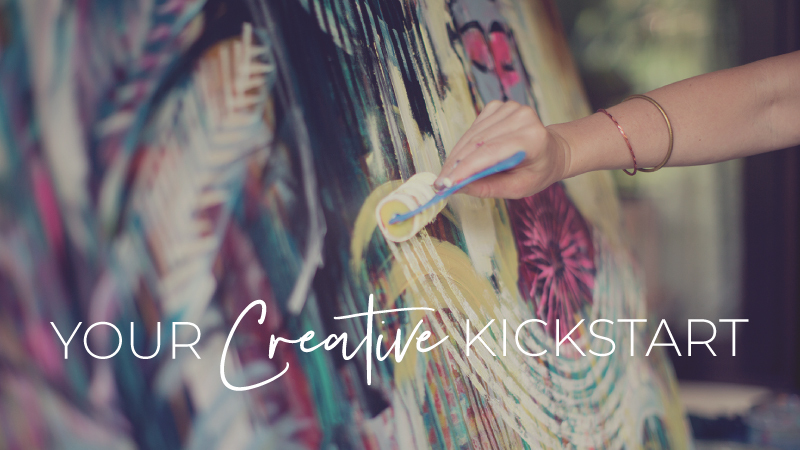 I hope this Challenge inspires more creative living during the month of September while giving you a little taste of The Creative Revolution E-Course. If you’re left craving more, I’d love to have you join me! You’ll find all the prompts in our free two-page downloadable PDF below. I suggest printing out the PDF, pinning it to your wall, and checking off the prompts as you complete them in your own perfect order. Share your experience and creations throughout the month on your favorite social media platforms. Please use the hashtag #creativerevolutionchallenge and tag me, so other folks can find their way to the Challenge, and we can find you! I’ll be sharing my own experience of the Creative Revolution Challenge prompts during the month of September. Feel free to follow along on my Instagram and Facebook pages to stay inspired. Here’s to an inspired month ahead! I’m excited to play with you.